Are you searching for romantic West Carinthia hotels for vacations and holidays in Austria ? Here are some of the greatest hotels with breathtaking views and many amenities such as Alpine wellness and Spa, Sauna, Pool, Fitness Center, Wireless internet, Kid and family friendly facilities, All inclusive programs, Natural Programs, Summer and Winter Activities such as hiking, skiing, wildlife viewing, mountain bike tours, family excursions, and more. 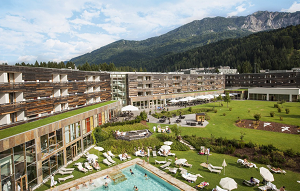 Located right on crystal-clear lake Weissensee in Carinthia in an alpine valley at an elevation of 930 m is Bio-Vitalhotel Weissenseerhof ****s.
Surrounded by mountain ranges, meadows, forests, and sky, a lot of sky. This is place of strength, quiet, and inner peace. This 4-star superior hotel is the perfect destination on the Carinthian Weissensee in Austria and in one of the most romantic West Carinthia hotels for unforgettable vacations and holidays for couples. Unique nature, comfortable rooms and suites, and a gourmet restaurant, which will pamper you with culinary specialties and treats. You will find here great Spa and Fitness Center. 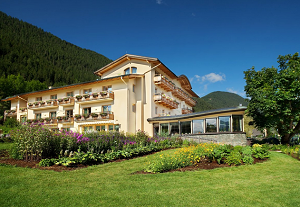 Located in one of the most beautiful mountain villages of the Alps, Heiligenblut, directly overlooking the beautiful natural backdrop of the Hohe Tauern, this is one of the best West Carinthia hotels for romantic and family vacations in Austria. Distinctive and exclusive nature experiences are the hotels’s speciality. Whow ever you want to explore the variety and the treasures of nature, either by hiking, on skis or just sitting and marvel – is entirely up to you. Desingers Guild fabrics, wood, linen, wool and loden ensure a relaxing and cozy atmosphere in hotel’s theme rooms. Glocknerhofs Nature-kitchen with high-quality regional organic products and fresh ingredients. 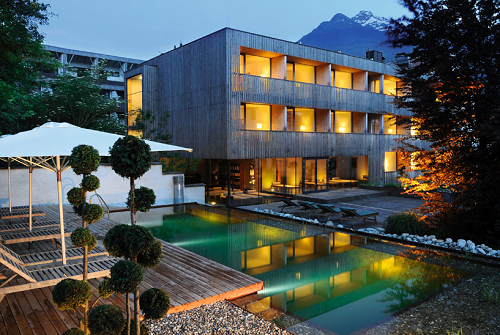 Some of the amenities and services are: choices of nature program (climbs up the Grossglockner, wildlife viewing, glacier treks, herbal walks, Glockner-orbits, skiing on the highest peaks, and more), AURUM Beauty & Spa – Alpine wellness, childrens programs, Sauna, Pool, Yoga and more. One of the best West Carinthia hotels for romantic and family vacations. A vacation at the Hotel Gartnerkofel is a vacation amidst the Carnic Alps, right next to the Italian border. An amazing mountain view (2.585 m) from your room or suite. The 4**** Hotel Gartnerkofel lies 1.500 m above sea level on the “Sonnenalpe” Nassfeld. It is a perfect starting point for numerous hiking tours, mountain bike tours or family excursions. From the surrounding mountains Gartnerkofel, Rosskofel and Trogerkofel you have an unique panoramic view. Some of the amenities, that rank the place among the best West Carinthia hotels are: wellness and sauna area with crystal-SPA, family-SPA, fitness room, infrared cabin, family wellness, brine steam grotto, free wireless internet in all rooms, , kid and family friendly programs and much more. The hotel also offer an unique all inclusive programs and whole family activities. 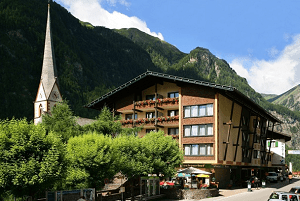 A hotel in the town center of Matrei in East Tyrol, in the country side, surrounded by mountains in the Hohe Tauern National Park – but with an urban rather than a rustic feel. Rich in tradition, yet with contemporary architecture that integrates the old with the new. Family run with its own farm, good home cooking for hours of delight, comfortable rooms for a deep sleep, a modern spa area for relaxing and a natural pool to dive into. Whether for a three week holiday or for a short break – the perfect hotel for relaxing and spending unforgettable West Carinthia Vacations. The bedrooms and apartments in the traditional part of the hotel are furnished and fitted with natural wood. The Restaurant – Spacious, clean lines, lots of light. The hotel also offers Spa area with beautiful panorama outside, a natural pool and much more. One of the best and most romantic West Carinthia hotels for unforgettable vacations for couples in Austria. Hotel & Spa Carinzia is much more than a simple wellness hotel. It is a world of its own, a holiday resort with nearly unlimited possibilities. 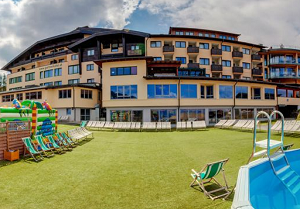 Located at the foot of the hiking and skiing paradise Nassfeld, right next to the Millenium Express, This is one of the best West Carinthia hotels for unforgettable romantic or family ski vacations. Modern architecture & private hotel park. 2,400 sq m Acquapura SPA wellness and water world with 16 bathing, sweating and relaxing attractions”. Gorgeous location directly at the valley station of the Millennium Express in the ski area Nassfeld. Carinzia summer & winter resort programme. Carinzia conference centre: well-equipped modern meeting and event area for up to 360 people on over 900 sq m. and more.